California Coastal Commission backs project proposing to replace 81 slips with 46. VENTURA — A plan to reduce the number of boat slips at Channel Road Marina on Lido Peninsula in Newport Beach by almost half was approved by the California Coastal Commission on March 8. An updated Channel Road Marina will feature 46 boat slips, down from the current mix of 81. Lido Peninsula Company proposed to demolish the current marina in Newport Beach and replace it with a new waterfront dock. Plans do not call for dredging to take place. The new marina would include 23 slips – half of the total slip mix – for boats of 35 feet or smaller. Coastal Commission staff confirmed the new marina would be larger in size despite having 35 fewer slips than the current venue. The updated Channel Road Marina would be 12,762 square feet in size and have 52 piles – compared to 10,968 square feet and 30 piles currently. Most slips would be reserved for boats measuring 50 feet in length or smaller. Slips for 20-foot vessels or smaller would be increased from six currently to 13 in the new marina. However boaters with vessels between 21 and 25 feet would only have 9 slips in the new marina, compared to 19 in the venue about to be demolished. A majority of slips being gutted would affect boaters with vessels in the 26- to 30-foot and 31- to 35-foot range. Only one slip would accommodate a 31- to 35-footer (and none for 26- to 30-footers), compared to 53 total for the two categories in the old marina. The new marina would have 15 slips for boaters with 41- to 50-footers; the marina about to be demolished did not accommodate such boaters. Another new class of boaters being accommodated in the new marina: owners or leaseholders of 71- to 80-foot vessels. There will be 7 slips for boats between 71 and 80 feet in length, compared to none currently. The one slip set aside for 91- to 100-foot vessels in the current marina would also be included in the new venue. Two slips currently reserved for 36- to 40-foot vessels will not be replaced in the new marina. 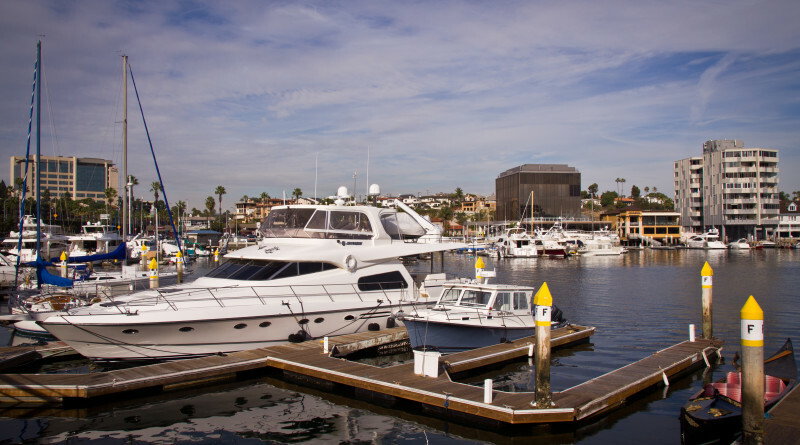 Channel Road Marina is a privately owned and managed marina at larger Lido Yacht Anchorage Marina in Newport Beach. “The public can lease these slips for private use, the slips are not restricted, and are available for anyone to lease and this will not change with the proposed project,” Coastal Commission staff stated about the marina spaces at Lido Yacht Anchorage Marina. Lido Yacht Anchorage Marina is home to 230 wet boat slip spaces (including the existing configured Channel Road Marina) and space for 221 boats (up to 40 feet) in the dry docks storage area. “Post project, the Lido Yacht Anchorage Marina will have a total of 195 wet boat slips spaces (including the new Channel Road Marina) and the dry dock storage area will continue to have 221 boat spaces for a total of 416 dry and wet boat slip spaces, resulting in a reduction of 7 percent of total available dry and wet boat slip spaces,” Coastal Commission staff stated. The Coastal Commission held its March meetings in Ventura.